I would like to create a RIFT fansite. What should I do? That’s great! You can start by downloading the RIFT fansite kit. Once you have read through the enclosed documents and gotten your site up and running, please let us know on the RIFT Community Forums and we’ll make sure you get some exposure. The world of Telara includes a range of races from the fierce Bahmi to the bold Mathosians. For more information on the people of Telara, read about Races & Factions in RIFT. You begin the game by choosing one of five Callings (Warrior, Cleric, Rogue, or Mage, or Primalist). Then, build your perfect class using the Ascended Soul system. For more information, see Callings & Souls in RIFT. There are many avenues for Player vs. Player (PvP) combat, from Warfront battlegrounds to massive Conquest maps. Read more about PvP in RIFT. RIFT features a robust crafting and gathering system. Learn more in the RIFT Game Guide. Yes. Telara is divided between two major factions: the Guardians and the Defiant. Both factions seek to save the world from planar destruction, but in starkly different ways. The factions are engaged in open conflict, and battle frequently, so no cross-faction groups or guilds can exist in RIFT. Read more about RIFT Races & Factions. Are these transfers free for everyone? Yes! We feel this feature adds a unique way to play RIFT. Why are only some shards available for transfer? We want the shard you select to provide the best experience possible. It is important that there remains a balance between Guardian and Defiant players to ensure that available shards do not become overpopulated or unbalanced. For this reason you will only be able to move to specific shards we’ve selected to accept new transfers. Please note the shards available for transfer may change over time. Does RIFT have a program to refer friends? Yes. All RIFT players can recruit their friends to collect awesome rewards with the Ascend-a-Friend referral program. To be eligible as a recruit, you must not have purchased RIFT credits or products, or have previously accepted an Ascend-a-Friend invitation on your account. To participate in the Ascend-a-Friend program, you must accept an Ascend-a-Friend invite or sign up for the Ascend-a-Friend program through a friend’s Unique Recruitment Link. I’ve recruited a friend. When/how do I get my reward? When your friend makes purchases in the RIFT Store, you receive referral coins to spend for a wide array of items in the Rewards section of the Store. I’ve been locked out of my account. What can I do? If you are unable to change your password or have been locked out of your account due to multiple failed login attempts, you can contact our Customer Support Team directly. You can access Live Chat or Submit a Ticket from our support site found here (https://support.trionworlds.com/hc/en-us/articles/204400287). Can I order a retail game box directly from Trion? No, Trion sells only digital versions. Can I play RIFT on both European and North American servers? Yes. We want you to be able to play with family and friends, no matter where in the world they live. North American servers are located in Dallas, Texas, while European servers are located in Amsterdam. Why is RIFT free to play? Because players prefer free games! Trion has always been progressive with the way we’ve let people access RIFT, offering trials and referral offers since shortly after launch, Return to Telara events where we invited players to come back for free to see what they missed. Over the last two years, we’ve seen the online gaming market evolve and expand, with millions of new players in North America and Europe embracing free-to-play games. This is just the latest evolution of RIFT that will allow us to bring even more players into the world of Telara. Is there still a subscription option? Yes! Subscribers are known as Patrons and receive a host of RIFT Patron benefits and abilities. What do I get with Patron Pass? Patron Passes give you access to the benefits of a subscription for a set amount of time. They are available for purchase via the in-game RIFT Store. What do I get for purchasing the original RIFT box and the Storm Legion expansion? Both the RIFT and Storm Legion products grant permanent unlocks to your account. Owning the base game will open extra character and bag slots, while Storm Legion will unlock the expansion Souls (Harbinger, Tempest, Tactician, and Defiler). Are there any restrictions for free players? To limit gold farming, free players cannot sell items on the Auction house and are restricted to 2,500 platinum. Both of these restrictions are lifted with any credit pack purchase or credits purchased through REX. You can find more information on REX below. How do I access the RIFT Store? Click the cart icon in the lower game UI to open the RIFT Store. Many items are available for both in-game gold and Credits. Credits are a game currency purchased with real money via the RIFT Store or through the Trion Worlds account center. Credits can be used to buy many items in RIFT. What is available at the RIFT Store? Mounts, gear, boosts, companion pets, expansion Souls, services, and more. Can I gift items to my friends? Yes! Items in the shop with a gift icon beside it can be purchased and sent to a player of your choice. The Loyalty system unlocks gifts and benefits for you as you fill your Loyalty meter. The Loyalty meter can be filled through a variety of methods, including purchasing and spending Credits, consuming REX, and subscribing as a Patron. I played RIFT in the past – Do I get any bonus Loyalty? If you’ve subscribed to RIFT in the past, you will receive Loyalty for the duration of your subscription. REX is an item that can be purchased with real money and redeemed in-game for Credits and Loyalty. It can also be traded (or sold to players in the Auction House) for in-game currency. REX gives players an avenue to obtain items available for Credits and Loyalty (traditionally only obtainable with real money) through the strategic trade of in-game currency. Is REX the only way to purchase Credits? No! The cheapest and easiest way to purchase Credits is directly from the RIFT Store for real money. REX is just another way to gain Credits by buying or trading REX with other players that have purchased them from the RIFT Store. Are you going to change the free-to-play offerings for RIFT in the future? As with all of the features we add to RIFT, we will continue to make changes to the game based on feedback from our players. It’s an ongoing process! Do I have to purchase a Nightmare Tide Collector’s Edition to access the Plane of Water, additional levels, and other RIFT 3.0 content? Nope! Nightmare Tide is a full, free expansion for all RIFT players. You can invade the planes with or without a Digital Collector’s Edition! Can I earn the new Earring Equipment Slots in-game if I don’t purchase a Nightmare Tide Collector’s Edition? Yes. You can unlock both Earring Slots per character using an in-game currency (similar to Infinity Stones). Purchasing a Nightmare Tide Collector’s Edition will grant both slots to all characters you create. Can I purchase the bag slot separately? Is there any other way to obtain the bag slot? No. The bag slot is exclusive to bundles that include a Nightmare Tide Collector’s Edition. What is the Manugo League? What kinds of rewards are available? The Manugo League is a mysterious organization dedicated to the ancient Eth game of Manugo. While some consider Manugo a hobby, others consider it a way of life. You will earn various equipment rewards and crafting recipes as you gain ranks in the Manugo League. What items are only available to players with the Planewalker: Water attunement? Roughly 15-20% of the gear in Nightmare Tide will require the Planewalker: Water attunement. These items will be spread throughout all gear levels (and every aspect of the game). No gear type – for example, rings or raid gear – will be exclusively limited to players with the Planewalker: Water attunement. Is there any other way to earn the Planewalker: Water attunement? Yes. We offer the attunement in-game for Abyssal Crusader’s Marks earned by completing Expert level-65 dungeons. Purchasing a Nightmare Tide Collector’s Edition will grant the attunement to all characters you create. Is the Instant Level 60 Boost be available apart from Nightmare Tide Collector’s Editions? Yes, we off the Instant Level 60 Boost outside of the Nightmare Tide Collector’s Editions. Is there a way to earn Minion Slots other than with the Collector’s Edition perk “A Minion for Thee”? 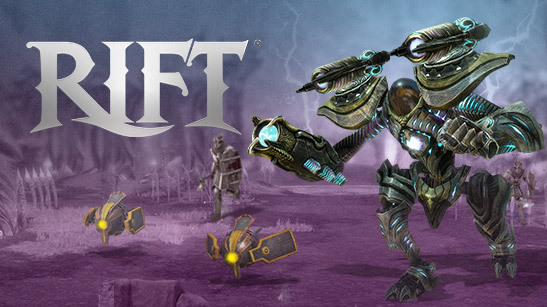 Minion slots may be purchased for RIFT Credits in-game. Each slot purchased with Credits (or unlocked with a Collector’s Edition) is granted to all characters on your account. Can I get a Thresher Mount without a Nightmare Tide Collector’s Edition? The Cobalt Thresher mount is currently exclusive to the Nightmare Tide Collector’s Edition. Which items can the Void Accelerators upgrade? Void Accelerators can be used to upgrade existing Raid Tier 2 and Raid Tier 3 gear. How often can I use Planewalker’s Call? Where can people be summoned from? The tentative cooldown for this ability is 1 hour. You can use this anywhere you can currently summon friends. Do I have to purchase The Wilds Pack to access any of the content in Planetouched Wilds? Nope! All of the content in 3.4: Into the Wilds is free to all RIFT players. Take part in all of the adventures in Planetouched Wilds with or without The Wilds Pack. What items are available if I purchase before 3.4: Into The Wilds is released? The Primal War Beast Mount, the Ovog Ceremonial Garb costume set, the Cloak of the Great Wheel costume cloak, the Primalist portrait frame, as well as 30 days of Patron time. Will I be able to purchase the Primalist Calling separately from The Wilds Pack? Yes, it will be available in-game for Credits with the release of 3.4: Into the Wilds or purchase separately from Glyph and our retail partners. What Souls are including with the Primalist Calling? Titan, Berserker, Dervish, Vulcanist, Preserver, and Typhoon. Will I be able to purchase the additional character slot separately from The Wilds Pack? No, however you can unlock up to 12 character slots in-game without The Wilds Pack. Do I have to buy multiple The Wilds Packs if I play more than one character? No, all rewards contained within The Wilds Pack are available for all characters on your account.